There are many benefits of staying in a city more than couple of days. It enables you to go behind the tourist scene to discover the living city, see the inhabitants in their daily routine, and be a temporary local. With a population over 5 million people, Asian part of the city hardly is “off the beaten path”, but definitely “off the tourist track”. As a traveler with a never ending curiousity, in my travels, I have always wanted to see to where people live, what they eat, learn how they socialize, what meeting in a café means for them, music they listen, food they eat… It a philosophy we professionally embrace as well, we don’t miss a chance to provide it to our travelers. Arriving in Asia by ferry. The most pleasant intercontinental trip! The Rick Steves Istanbul tour spends a whole week in Istanbul and participants enjoy a side trip to Asian side of the city. Like an Istanbulite, the Rick Steves Istanbul tour members mix the crowd in the produce market, taste goodies, sip coffee, window shop, chat with vendors, and eat in the modest restaurant of an award winning chef well know for serving a great variety of Asia Minor dishes, those including food from south east Turkey which is upper Mesopotamia. Rick Steves Istanbul group members at the heart of the produce market. After a delicious family style lunch with the Chef. Hand gesture of putting all your fingers together and shaking your hand back and forth means delicious. I think same gesture has a different meaning in Italy. It is so much fun about learning different cultures and experiencing them right on the spot. At the end of the day, tour members take public transportation back to their hotel, which is a commuter ferry crossing the Bosphorus strait. As the sun sets behind the famous historic skyline of Istanbul ferry docks in the Old Town. PS: Scroll down for more photos and explanations. 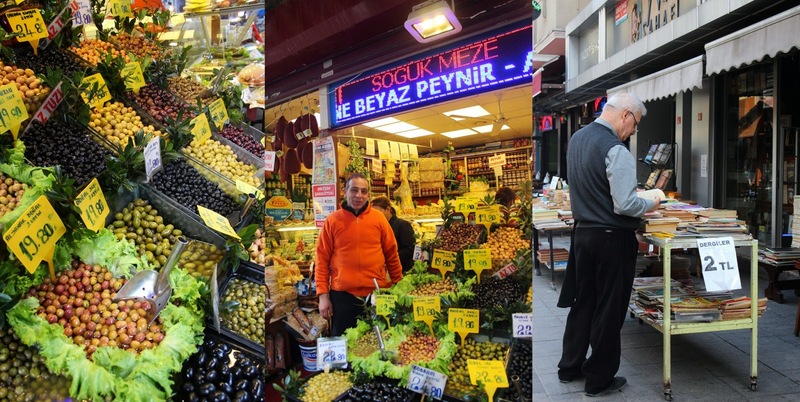 If you are patient till the end, you can watch Rick Steves Istanbul tour participants in action, shopping in the produce market. A statue of Ataturk welcome you in Kadıköy in Asia. Especially female guides in our team like to do a group photo by this statue, because if it was not for him and his reforms beyond the age he lived in, women of Turkey could be wearing burkas. One smart man once told, Turkish nation you owe Atatürk to Allah, and owe everything else to Ataturk. 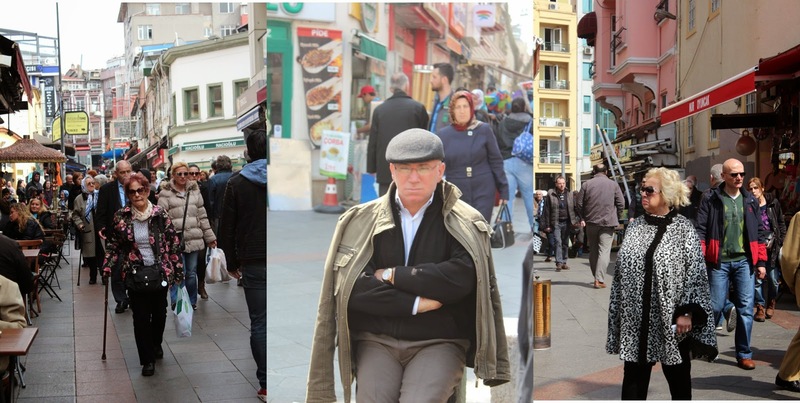 Take a look at a newspaper stand to see how different the lay out of our papers and the colored photos. In major ferry docks and public transportation hubs it is common to see flower stands. 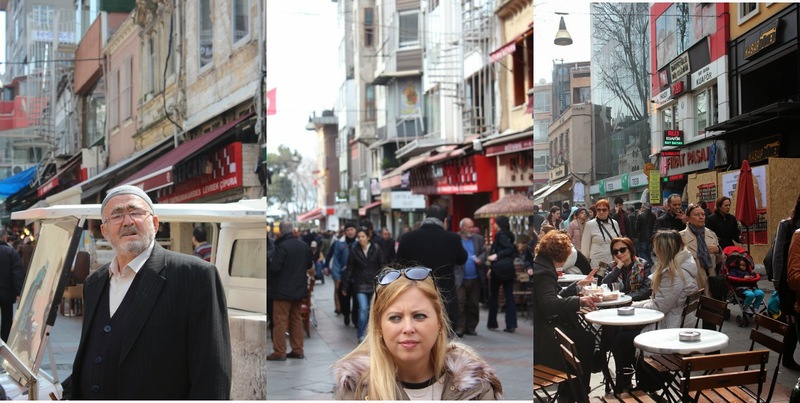 Most street flowerists in Istanbul are Roma, they are Turkish citizens. Locals in their daily lifes. Two most popular street food. Turkish bagel called simit and the grilled chestnuts. 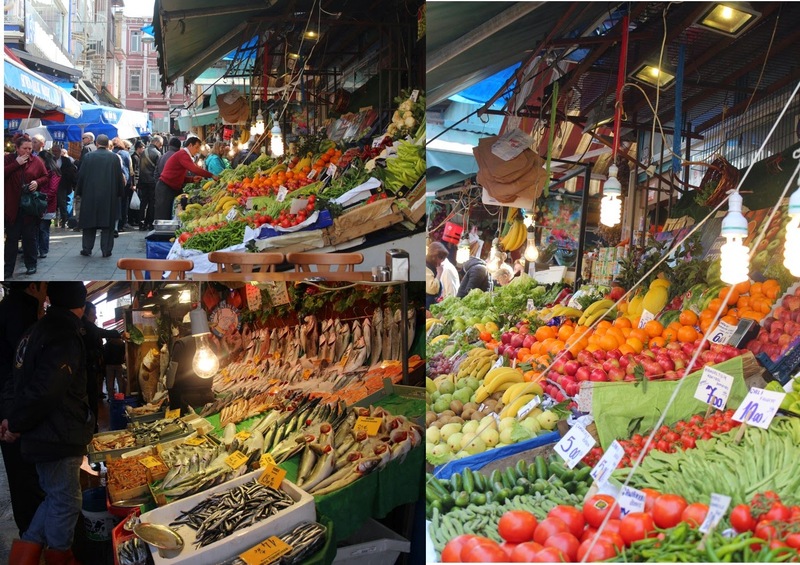 Join the Rick Steves Istanbul group as they shop in the produce market.